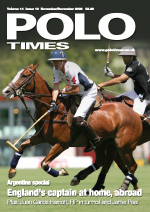 Six-goaler Tom Morley has guest edited the July issue of Polo Times, which is currently on its way to subscribers. 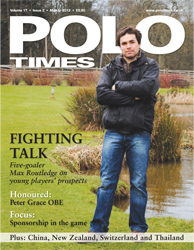 Tom has shared his views on the handicap system, as well as discussing which young players he thinks are particularly promising. 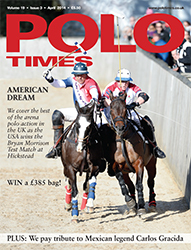 We also hear from Olympic gold-medallist Laura Tomlinson, on the benefits of dressage for polo, and New Zealander Ross Ainsley, on choosing the perfect thoroughbred. 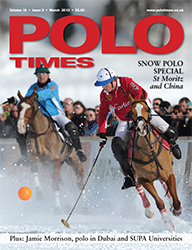 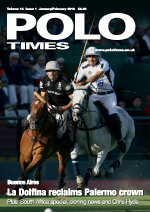 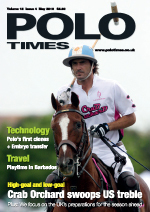 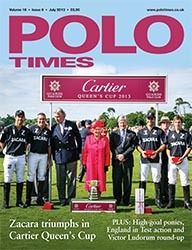 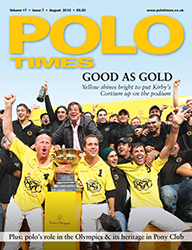 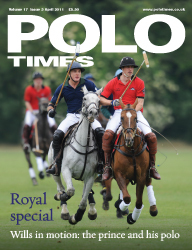 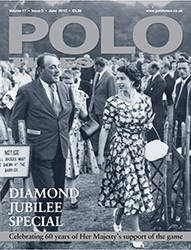 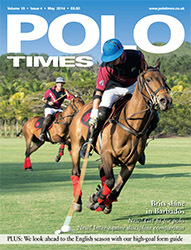 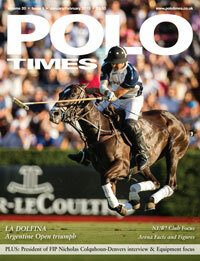 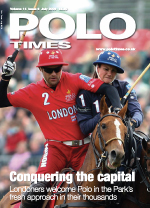 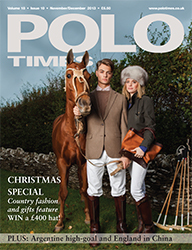 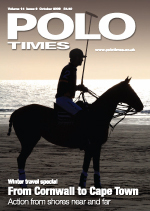 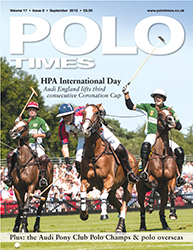 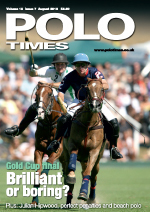 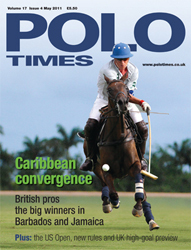 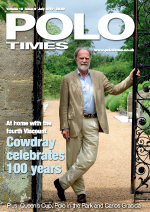 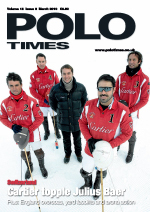 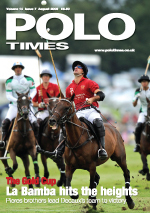 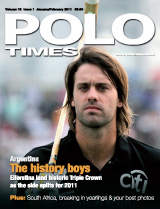 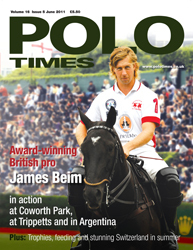 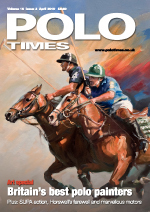 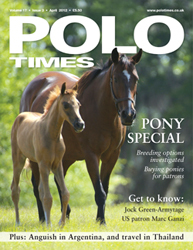 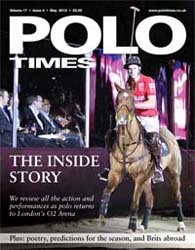 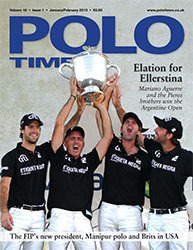 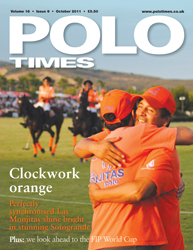 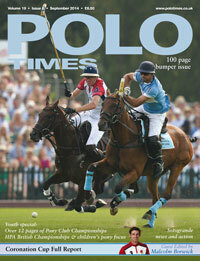 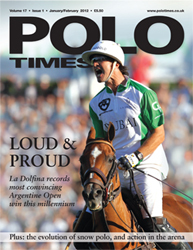 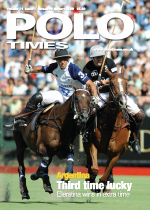 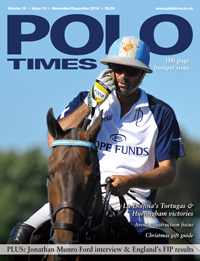 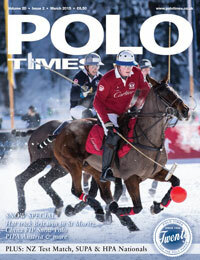 England star Mark Tomlinson has guest-edited the June issue of Polo Times. 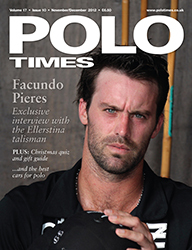 The magazine will be full of special features chosen by the six-goaler, including an in-depth look into off-field preparation for polo, and Mark's chosen young players to watch out for this year. 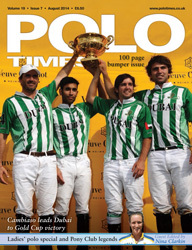 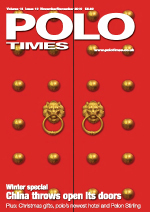 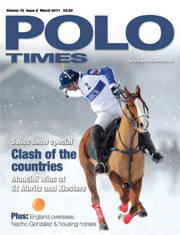 As always, we also bring you exclusive interviews, detailed reports and all the news and views from the world of polo. 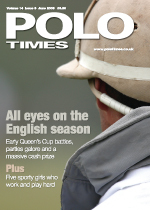 This month we look ahead to the English season with a high-goal form guide, as well as bringing you the second instalment of our Pony Running Report and all the action from Barbados. 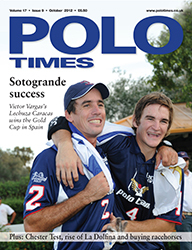 In April 2014 we remember Carlos Gracida, and include some touching tributes from his family and friends. 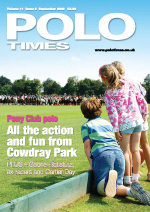 This month also sees a number of new features including Professional Viewpoint (by guest columnist Seb Dawnay) and Polo Pony Running Report. 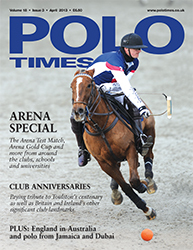 We also review highlights from the arena season including the Bryan Morrison Arena Test Match and the Arena Gold Cup. 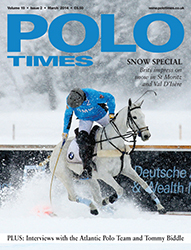 In the March 2014 issue of Polo Times we toast the British success in the European snow polo season, interview the Atlantic Polo Team and US star Tommy Biddle and review the best of the arena action around the UK. 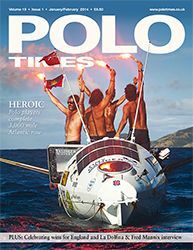 This month we pay tribute to the inspirational Atlantic Polo Team with an eye-catching cover shot. 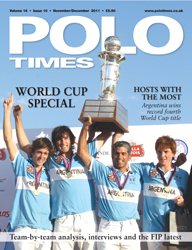 Inside we celebrate England's victory in the FIP Snow Polo World Cup in Tianjin and La Dolfina's Triple Crown success in Argentina. 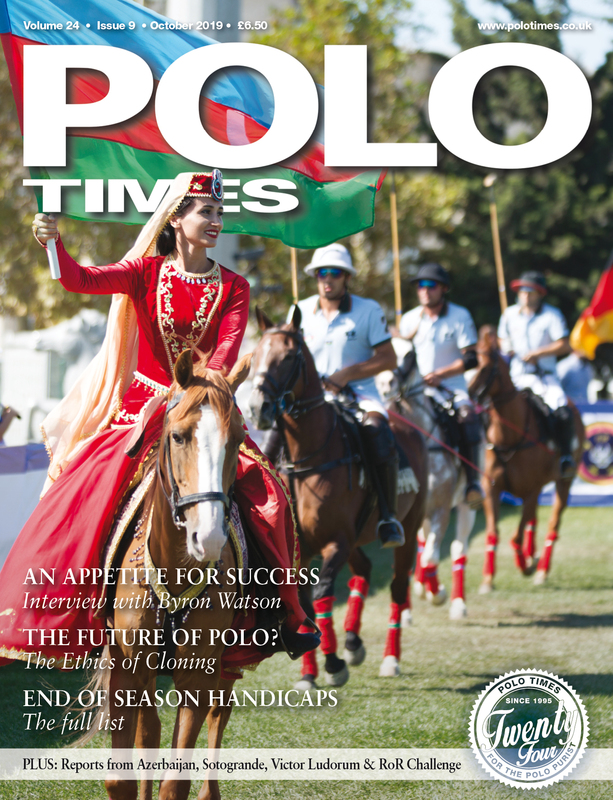 We also speak to Fred Mannix from the surprise package of the Argentine season, Alegria, meet new Pony Club Polo chairman Charles Whittington and, to coincide with the start of the Winter Olympics, find out about polo in Russia. 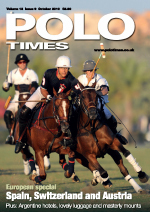 In the October 2013 issue of Polo Times we focus on the glamour of European polo with match reports from Spain, Switzerland and France. 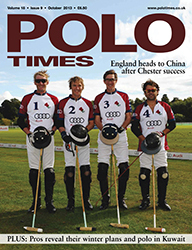 We also toast England’s success in the Audi International at Chester and find out where England’s top pros will be spending this winter. 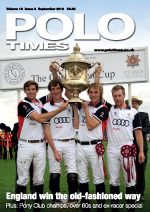 In the September 2013 issue of Polo Times we celebrate England’s victory against the USA in the Westchester Cup, while also paying tribute to the next generation of English polo stars with in-depth coverage of the Audi Pony Club Polo Championships. 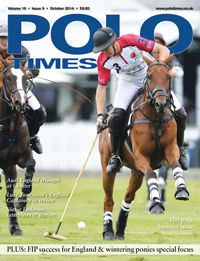 In the August issue of Polo Times we toast Zacara’s stunning UK high-goal double, look forward to this month’s Pony Club Polo Championships and round up all of the action from around the grounds during the busy English season. 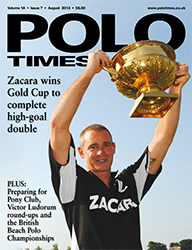 In the July 2013 issue we celebrate Zacara’s stunning win in the Cartier Queen’s Cup at Guards Polo Club and have an in-depth look at the best ponies on display in the high-goal. 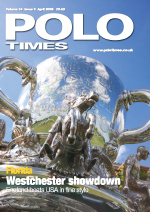 We also look forward to the Westchester Cup and round up the best of the action in the UK. 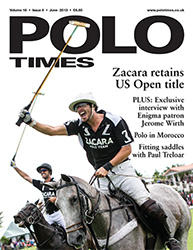 In the June issue of Polo Times we pay tribute to Zacara, who retained their US Open title in Florida. 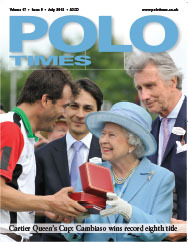 We also talk to high-goal patron Jerome Wirth and saddle-fitting expert Paul Treloar and commemorate the 60th anniversary of the Queen’s Coronation. 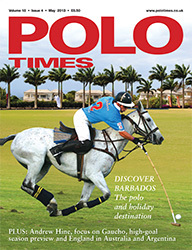 We go to the paradise Caribbean island of Barbados to find out about the polo and holiday options. 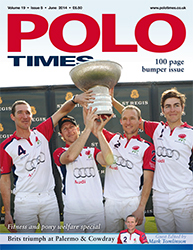 We also speak to former England captain Andrew Hine about the future and find out more about polo sponsors Gaucho. 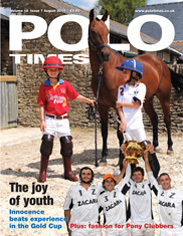 Arena polo is the main focus of the April 2013 issue of Polo Times, with the Arena Test Match, Arena Gold Cup and plenty of action from around the clubs, universities and schools. 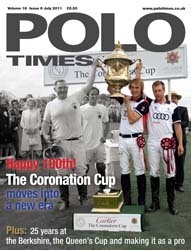 We also pay tribute to the British and Irish clubs celebrating big anniversaries this year. 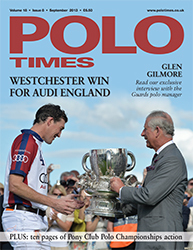 In our European glamour issue we feature everything from the inaugural Audi Test in Chester and the Sotogrande Gold Cup, to the Hublot Gold Cup in Gstaad and the French Open in Chantilly. 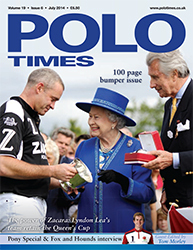 July 2012 Â– The UK high-goal takes centre stage. 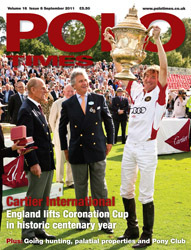 We look back at Dubai's Queen's Cup win, run the rule over the best ponies at the Gold Cup and meet England ace James Beim.